Patient Maisie who is being treated at Fitzpatrick Referrals Oncology & Soft Tissue for lymphoma. 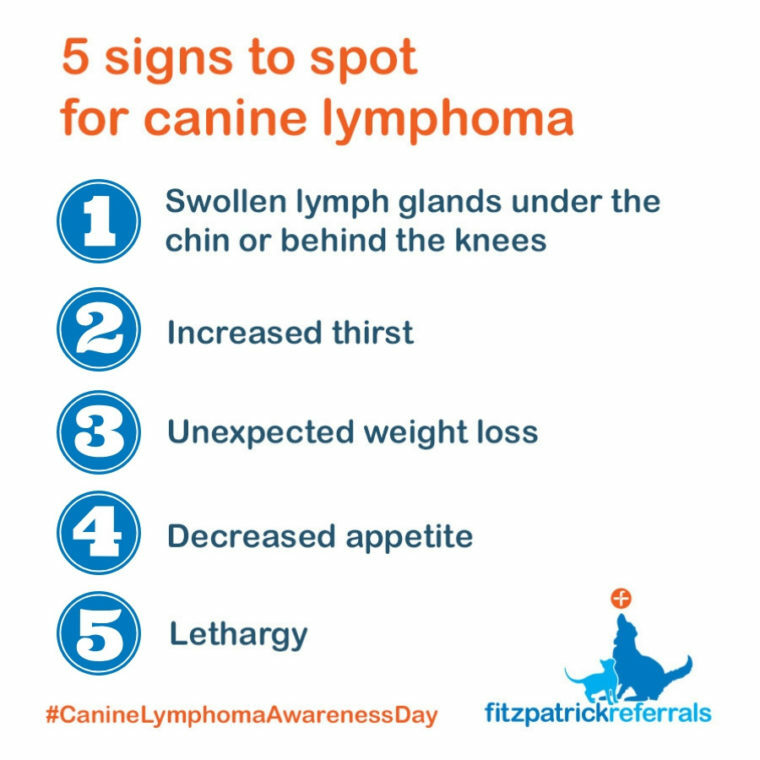 To mark National Canine Lymphoma Day on Wednesday 7th November 2018, Fitzpatrick Referrals has shared some helpful tips and advice on managing lymphoma in dogs. Lymphoma is a cancer of white blood cells and is one of the most common conditions that we treat at our specialist cancer hospital in Guildford. Lymphoma can affect anywhere in the body and there are a number of different forms of lymphoma (over 50), so it is a very varied condition. Most of these forms can be successfully controlled to stop your dog feeling unwell and it is most often treated with chemotherapy. Here is some information about how to recognise it, how it is diagnosed and treated and when to seek advice for referral to a specialist referral practice. How do I recognise lymphoma in my dog? It is difficult to give general advice on this as the cancer is such a varied thing. 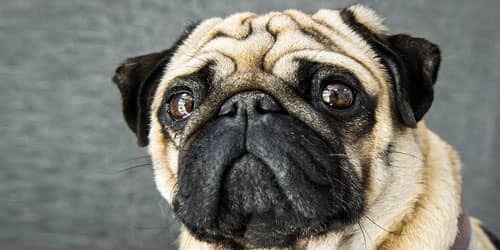 Skin lymphoma can lead to scaling lesions on the skin, which are often mistaken for infections, so if your dog has skin lesions which don’t heal or respond to antibiotics, then it may be worth further investigation such as a biopsy. However, the most common forms of lymphoma will result in enlarged lymph glands. These are generally not painful. Lymph nodes are present all over the body, but the easiest to identify are under the chin and behind your dog’s knees. In many cases, the patient is really well despite the presence of lymphoma, so not all patients will appear to be sick, for these signs to be a concern. You should contact your vets if you are concerned about your dog having any of these signs. How is lymphoma diagnosed by your primary care vet? The diagnosis is reached by taking a sample of cells. Depending on the form of lymphoma, this can be from large lymph glands, from blood or from any other location where there is a suspicion that the cancer may be. If this initial testing is inconclusive, there are a number of additional tests which can be performed. It is usually advisable to also perform blood tests and possibly chest X-rays or an ultrasound of the abdomen. Lymphoma can often be successfully managed. The only aim of treatment is to either make your dog feel better if he or she is sick or to keep them feeling well for as long as possible. The treatment which is recommended is usually chemotherapy. There are almost as many forms of chemotherapy as there are forms of lymphoma. Some treatments are tablets, some are injections and the timing of treatments can vary from daily to weekly or even one every three weeks. 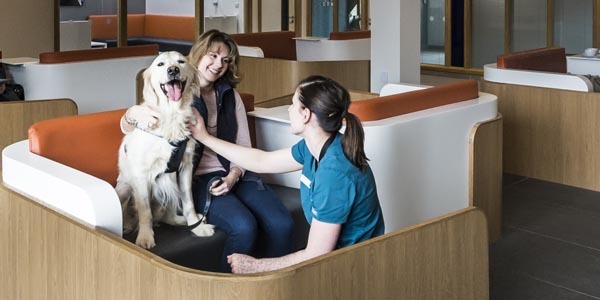 The chemotherapy treatment is chosen based on the type of lymphoma, your dog’s own wellbeing and your preference as your dog’s guardian and carer. The important thing is that the treatment is only given if we feel it is likely to help and only continued if it is working and if your dog is feeling well. Often, other treatments such as antacids or anti-sickness medication are given alongside the chemotherapy, all with the aim of trying to maintain an excellent quality of life. Some supplements or dietary changes may also help your dog feel as well as possible throughout treatment. You will also likely receive advice on the safe handling of a patient whilst they are having chemotherapy treatment, particularly around clearing patient waste. Chemotherapy treatment is not the right option for every owner or for every dog and palliative care can often help to keep your dog’s life as normal as possible. Many patients receiving chemotherapy have minimal to no side effects and this is a real positive aspect of therapy, in fact, a lot of owners comment that friends and family often say that they can’t believe their dog is receiving treatment! 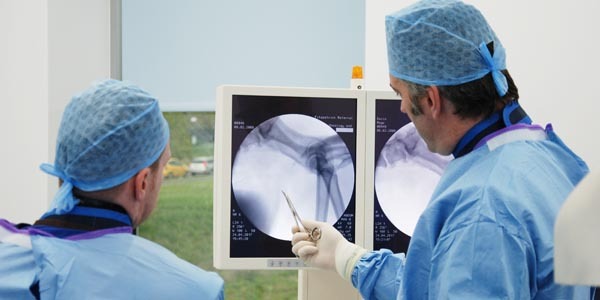 When to ask for a referral to Fitzpatrick Referrals Oncology and Soft Tissue hospital? 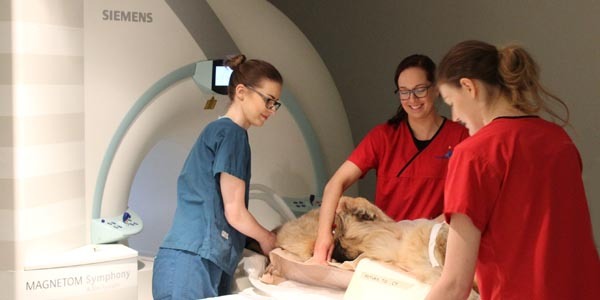 Fitzpatrick Referrals can work alongside your primary care vet in providing a bespoke treatment and management plan for managing your dog’s lymphoma. 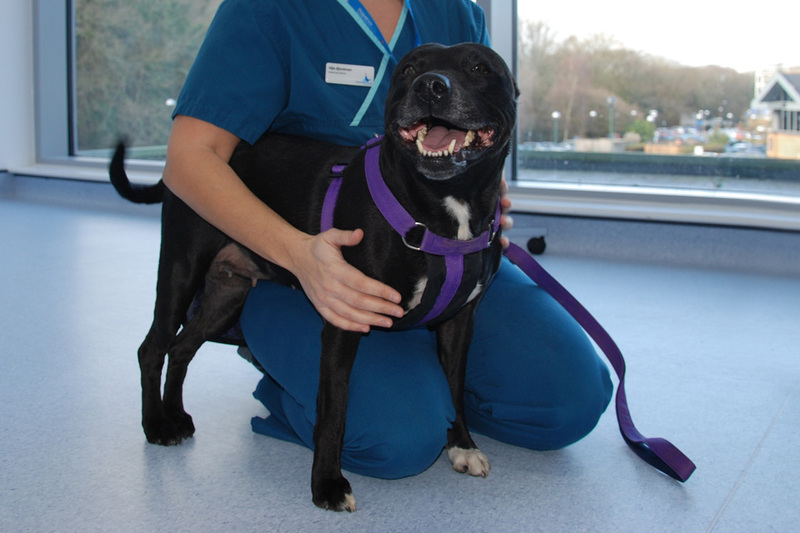 We are able to see dogs at any stage of the diagnosis or treatment process. We are able to take samples which diagnose lymphoma using special techniques which can identify which of the many types of lymphoma your dog has. 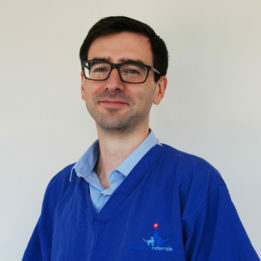 With our experience in treating lymphoma, we can choose a bespoke treatment protocol which we hope will be the right match for you and your dog. The treatments can be given here or we can work in partnership and giving advice to your local vets. If your dog’s treatment is not progressing as hoped, we can discuss what options are available to you. If you would like to explore a range of innovative treatment modalities, we can offer some new chemotherapy options.